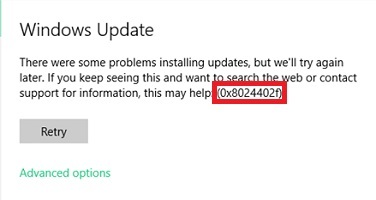 Updating the Windows operating system is an extremely important process, however, there are many problems that arise during it, for example, error 0xc190020e. This error is not something new for users of Windows 10, as its first manifestations were seen as early as the summer of 2015. To date, the error 0xc190020e most often occurs when upgrading to Windows 10 Fall Creators Update using the Upgrade Advisor to Windows 10. The error 0xc190020e may occur for several reasons. For example, sometimes, along with an error, a message about a lack of memory in the system can be attached, and therefore an upgrade to Windows 10 is impossible. 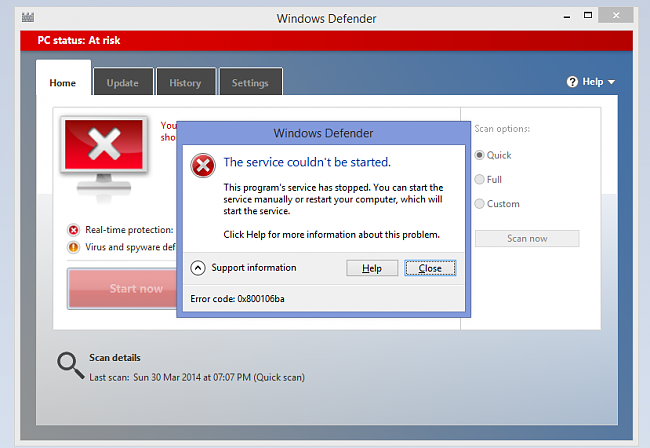 Among other things, this error can also occur because of problems that have occurred with Windows Update services, because of third-party antivirus software and others. In general, there are enough reasons for the error 0xc190020e to appear. 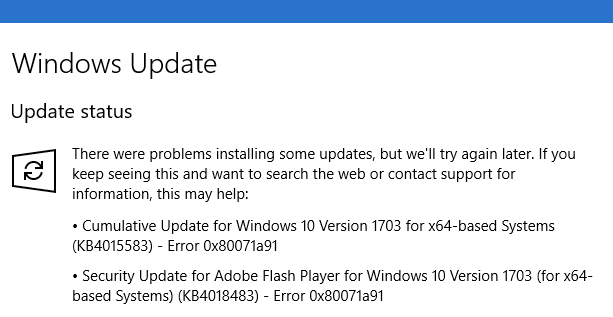 Anyway, this error, as we have already been able to establish with you earlier, is an extremely old problem that occurs when upgrading to Windows 10. In this regard, there have been a number of ways for a long time that will easily help you to fix the error 0xc190020e in the shortest time. Sometimes, the error 0xc190020e occurs because there is not enough free space on the computer’s disk. 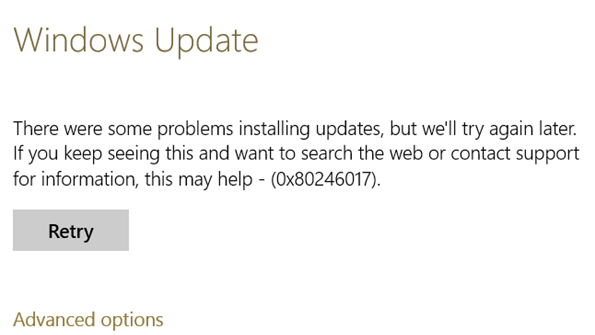 Be aware that when you upgrade Windows 10, you must have an additional location to download the update files. Actually, some users note that, together with the error message, it sometimes indicates the lack of memory. Look at how much memory you have left on the system partition. Often, many users forget even to occasionally look at their system partition, until it is left with a critically small space, which, in fact, they will be informed by the Windows system itself. If you see that there are less than five gigabytes left on the system partition, for example, on the Local disk (C :), then immediately start to free up space on it. We recommend that you do not stint – and leave somewhere about ten to fifteen gigabytes. As soon as you finish tinkering with disk space, try again to upgrade to the version of Windows 10 you need. If this time everything went smoothly, then, congratulations, it really was a lack of memory on your disk. However, a lack of memory is the least common reason for the error 0xc190020e. If the method did not bring results – let’s move on. In your operating systems, there is an incredibly useful application, created by Microsoft, under the name Disk Cleanup. This program can clean the selected partition on the disk from all kinds of files that the operating system does not need, for example, update files or temporary files for various purposes. Before you will appear a tiny dialog box of the Disk Cleanup program: select the necessary system partition in it, and then start the process of scanning files on it. The process of scanning the disk will take a while, so you will need to wait a bit. As soon as the scan of the disk is over, you will see one more window in which you need to select the file types for deletion. It’s worth noting that deleting the files you select may take a considerable amount of time, so be patient. However, everything depends on the configuration of a particular system. As soon as you finish working with Disk Cleanup, try again to upgrade to Windows 10. 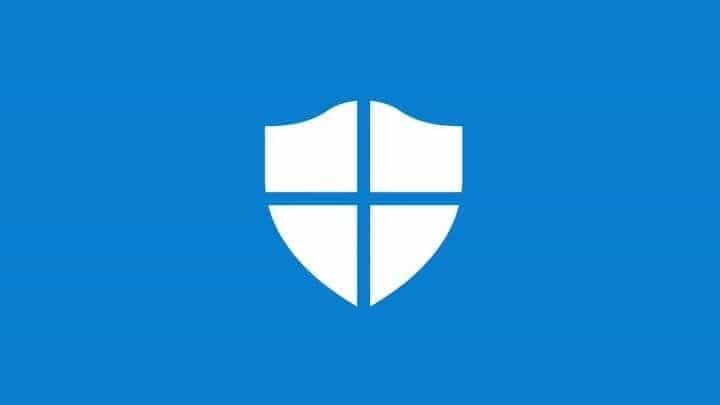 If you are unable to resolve the issue when upgrading to Windows 10 using Disk Cleanup, we recommend that you try to clear the Windows folder ~ BT, which contains the files of previous updates. It is these files that can be in conflict with the upgrade process to Windows 10. It’s worth noting that worrying about deleting files in the Windows folder. ~ BT is absolutely not worth it: your system will not suddenly stop functioning stable, so calmly clean this folder. As soon as you re-enter Windows after rebooting, try to upgrade to Windows 10. Probably, this time there will be no error 0xc190020e. It is worth noting that users often help the above method. Try again to upgrade to Windows 10. If you have not been able to do this before, then after this method the error 0xc190020e should definitely be fixed. 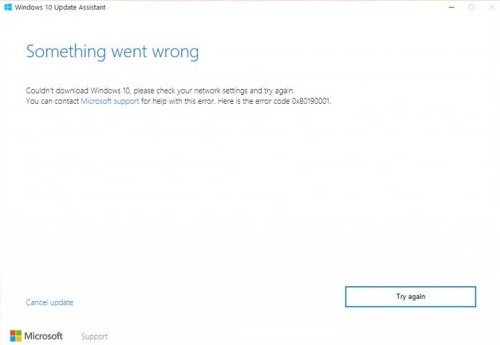 How to fix Windows 10 Update 8024402f error? Jerk me off some more please, how about you go buy one of these bricks and try your own suggestions. No cheating get one with 16GB, and no USB ports.